We see hundreds of awesome transformations daily, but the photos don’t always tell the whole story. So we asked you to share your transformation stories on Facebook, and we heard some truly inspiring tales. We are very excited to be featuring the stories of two people who overcame great obstacles to transform their lives with Body Beast. Meet Kayla. After childhood trauma, she needed something to help her get a part of herself back. She found that in Body Beast and has regained her confidence and sense of self-worth! “When I was younger, around 8-11, I was being molested on a regular basis. It was a horrid experience, and I often say that all of my ‘firsts’ were taken from me, along with confidence in my body. For the next 7 years, I spent my life overweight and in clothes that were too big for me. I didn’t want anyone to see me or my body, especially men, because all I could think of was a man seeing my body and doing to me what the other guys did. 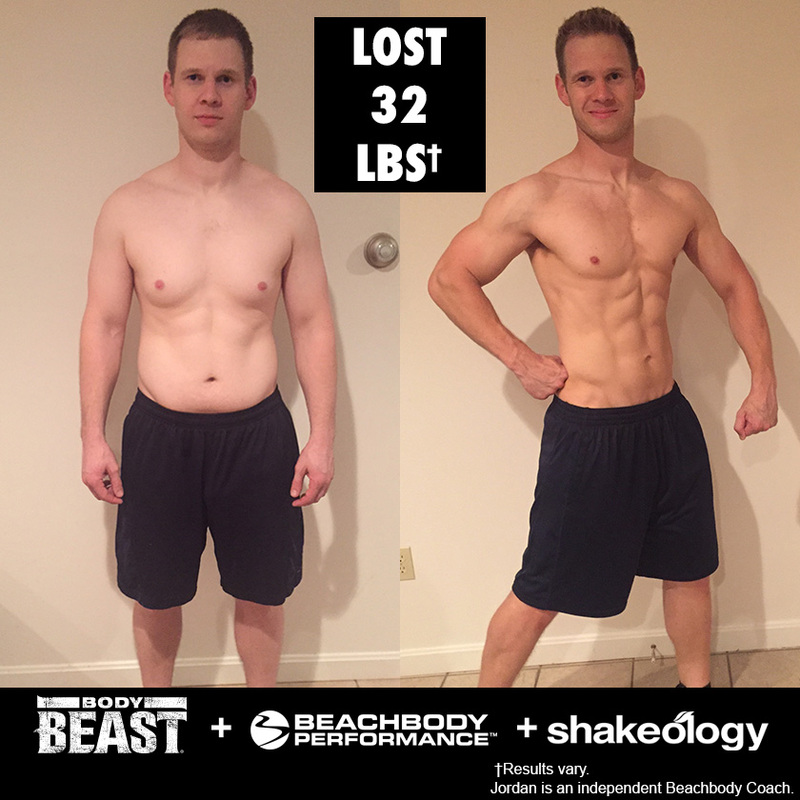 I lived in fear for so long until I started my first Beachbody program, and little by little I grew my confidence back, but the big change came with Body Beast. My father introduced me to Body Beast. He loves the program, and now I can see why. Sagi and Body Beast have helped me put faith back in myself. I’m a Beast! 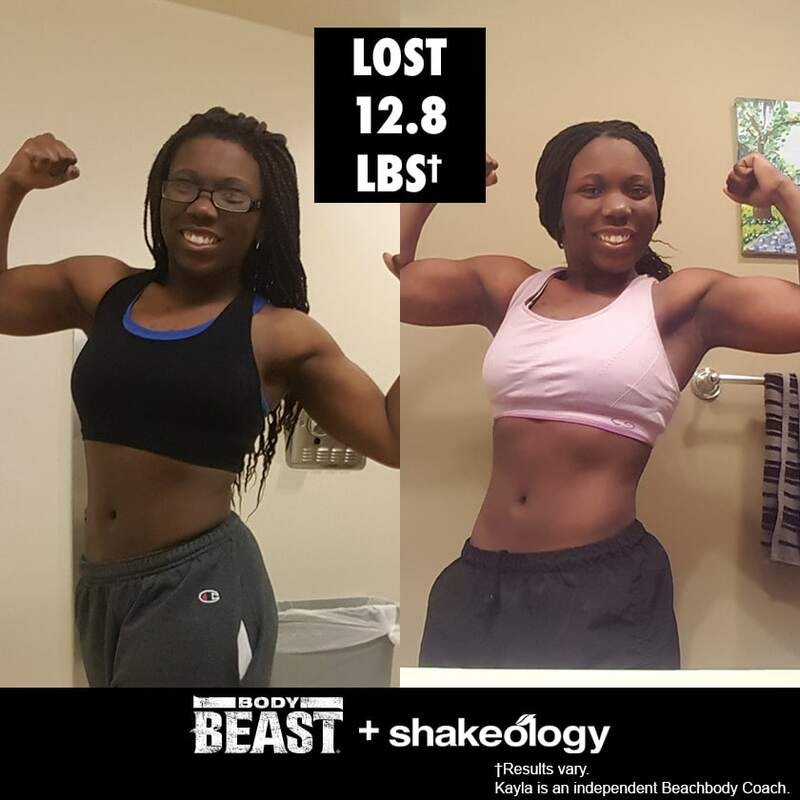 I’m strong, I’m beautiful, and I proved that this year by using Body Beast to lose 20% body fat and compete in the Beachbody Classic. It was a milestone for me and I can’t thank Sagi enough. Next, meet Jordan. He was discouraged after failing the physical test to be part of a SWAT medical team. Instead of wallowing in his own misery, he decided to make a change and test his limits both mentally and physically with Body Beast. “Before Body Beast, I was physically tired and unmotivated. Emotionally, I was frustrated with the way I felt and my lack of physical ability. I tried out for the SWAT medic position, and I failed the physical test. I needed to get in shape, and Body Beast’s weight lifting program attracted me because those are the types of workouts I like. After doing the program, my back became wider and stronger. This was the first time I got a six-pack! My biceps grew and were much more noticeable. My primary goal was to be able to compete in the Beachbody Classic. I did compete, and I placed in the top 20. I am happy with how well I did! After competing, my confidence has gone up and I feel mentally stronger. As a fire fighter and paramedic, my job sometimes requires me to carry patients down multiple flights of stairs. After completing Body Beast, I found that carrying these patients has become easier for me! Also, my endurance has increased when putting out an actual fire. My family feels more confident that I can take care of myself safely so I can come home to them at the end of my shift. We hope these stories inspire you to make a change, too! We’d love to hear about your transformations with Body Beast. Be sure to enter The Beachbody Challenge to share them with us and for your chance to win cash prizes!